The 2014 USA Pro Challenge kicked off today with a fast 3 laps around the beautiful mountain towns of Aspen and Snowmass Village. 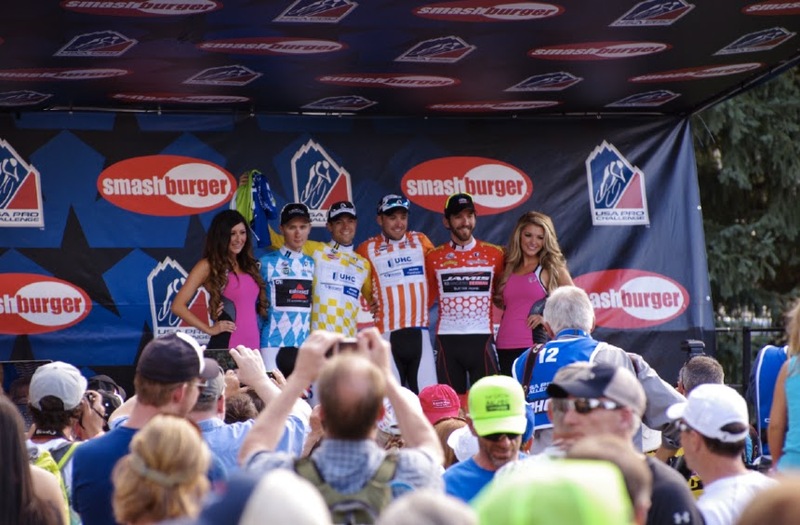 The riders lined up ready to race including defending champion Tejay van Garderen. 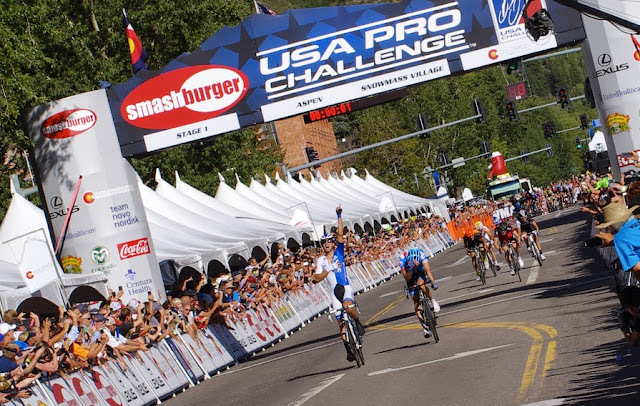 He finished safely 12" behind the stage winner Kiel Reijnen who barely edged out Alex Howes in the sprint for the line. Rafal Majka, Frank Schleck, Tom Danielson, Michalel Schar, Peter Stetina, and Tiago Machada all finished in the same pack of riders with Tejay van Garderen. 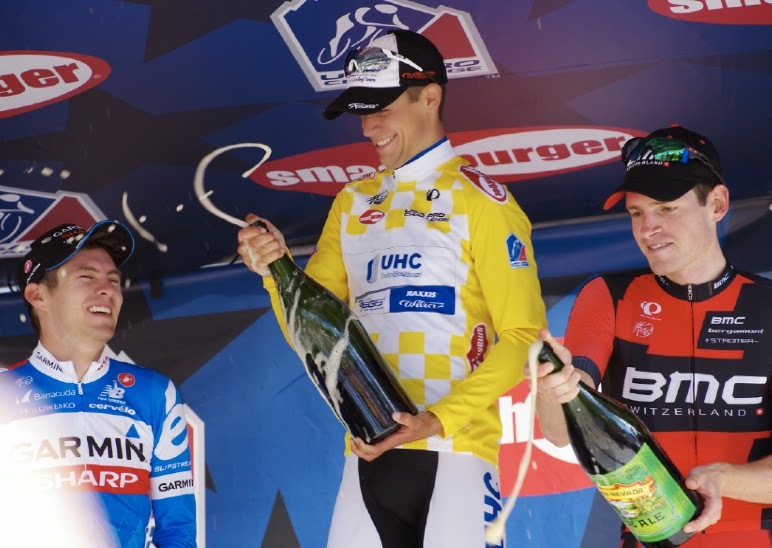 Matthew Busche did very well on the stage coming in 3" behind the winners together with Carter Jones. Leopold Konig finished within a group of riders 5'38" down, he explained he had been bitten by a "dirty insect" and had had a fever for two days prior to the race start. Aspen to Crested Butte, "the back way," Dirt Road. No Independence Pass for 2014! 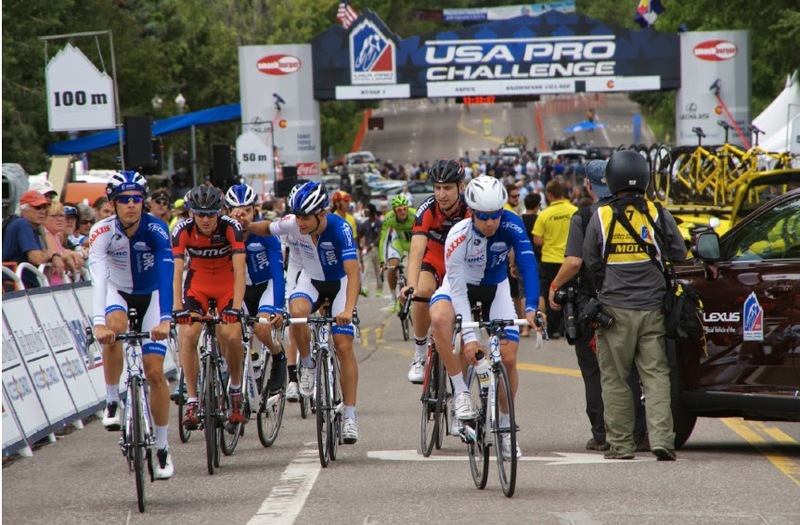 Race Begins: Approximately 11:10 a.m.
Race Ends: Approximately 4:00 p.m.
Kebler Pass closed in both directions - 11:00am Monday 8/18/14 through 3:00pm Tuesday 8/19/14. 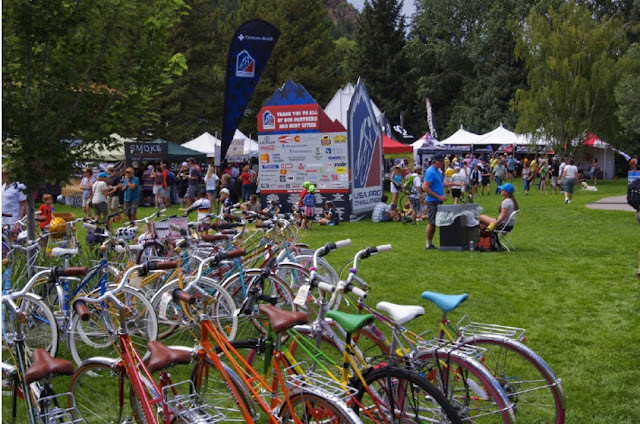 Best viewing: Start line in Aspen, Carbondale spring, McClure Pass, Kebler Pass, downtown Crested Butte, Mtn top finish up Mt Crested Butte. 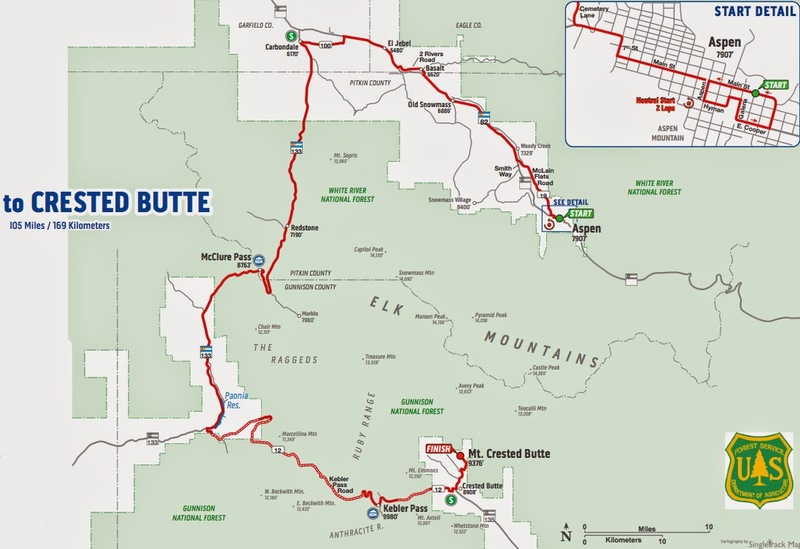 Alternate drive to Crested Butte for vehicles: Independence Pass to Twin Lakes, Buena Vista, over Cottonwood Pass into Crested Butte. RV and Buses you'll need to follow after the races and continue to Peonia, Hotchkiss and Gunnison, then Crested Butte.